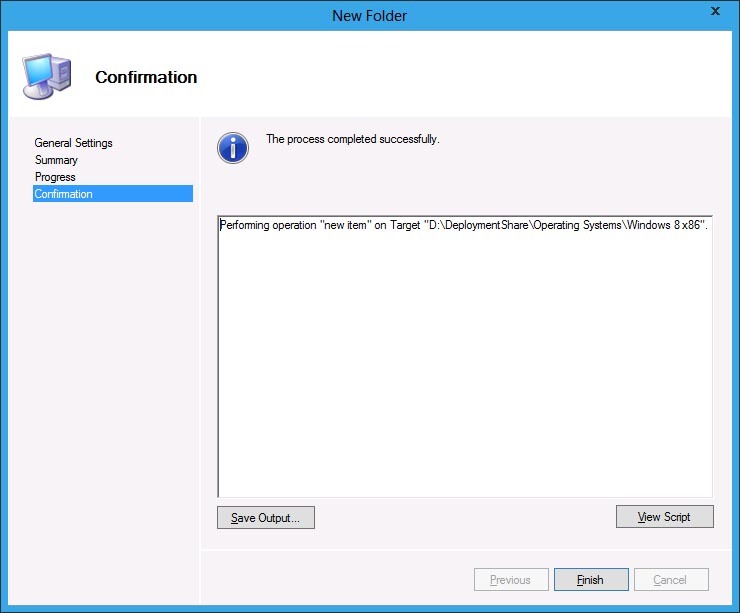 Those who have been using MDT 2010 Update 1 will find that the process of creating a new deployment share and importing an operating system in MDT 2012 is just the same as its predecessor. 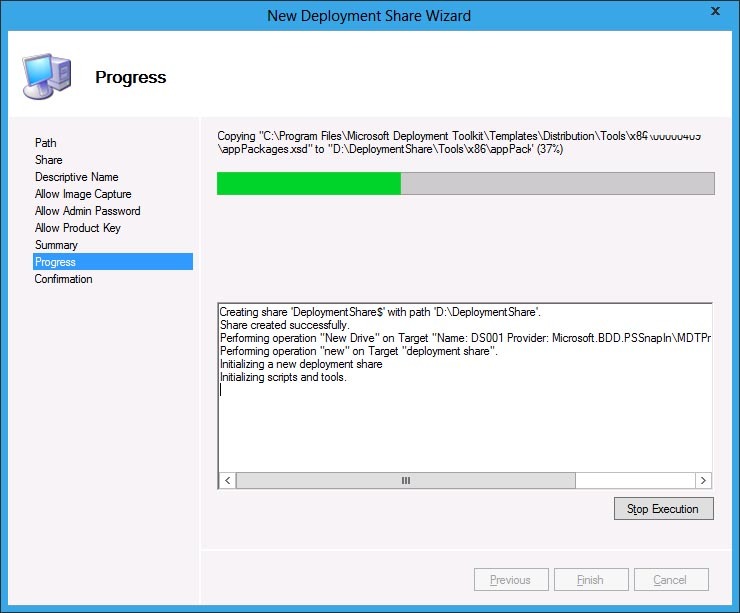 And for those who are just starting or planning to Deploy Windows 8 or Windows 7/Vista with MDT 2012 here’s how to create a Deployment Share and Impost an Operating System in MDT 2012. 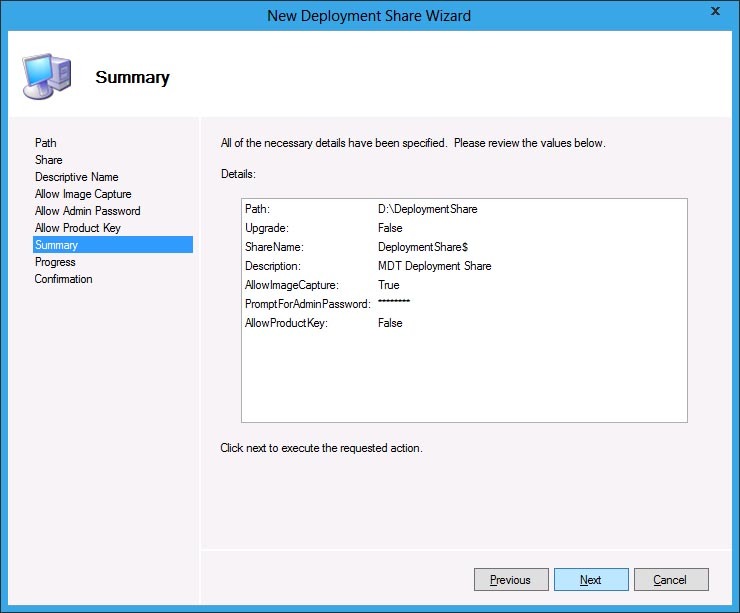 Either make a right-click in the Deployment Shares folder then click New Deployment Share OR In the navigation pane select Deployment Shares and click on New Deployment Share in the Actions pane. 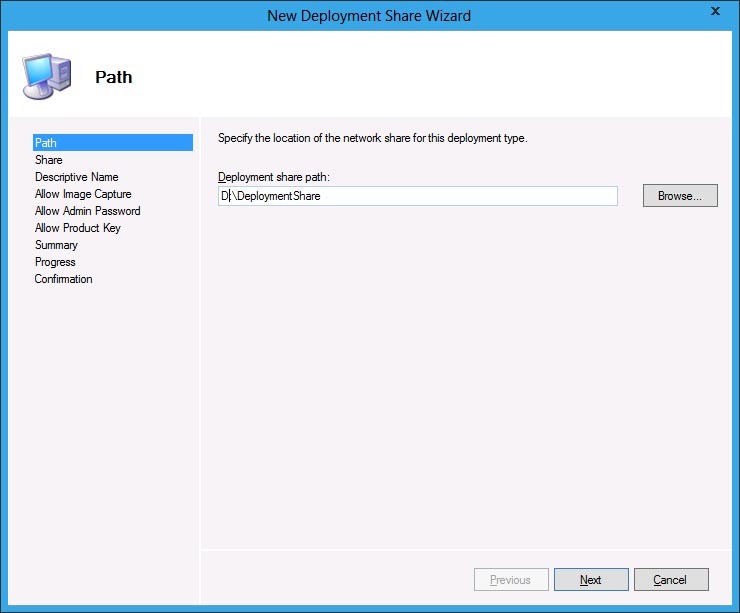 I’ve set the Path to D:\DeploymentShare, by default it is set in drive C:. Click Next to continue. 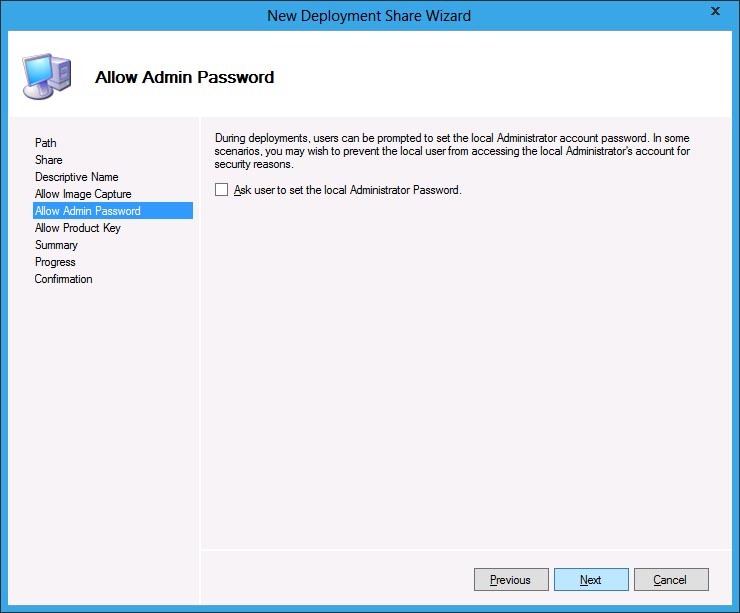 Type a Share name, or just leave the default name DeploymentShare$, this will be automatically shared by the MDT wizard. Click the Next button. 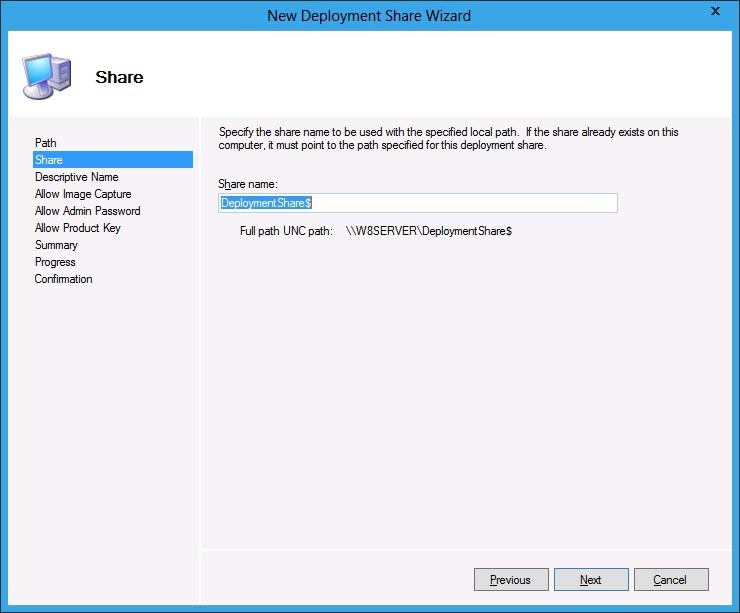 Type a description for your deployment share then click Next. 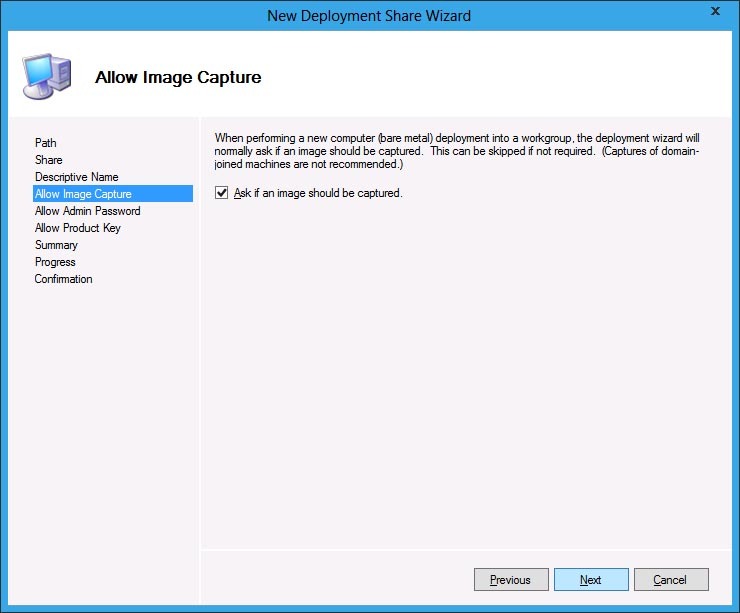 In the Allow Image Capture screen, leave the settings as is and click Next. In the Allow Admin Password, leave the tick box unchecked and click Next to proceed. On the next screen, leave the Allow Product Key tick box unchecked as well and then click Next. Review your settings in the Summary before clicking the Next button. 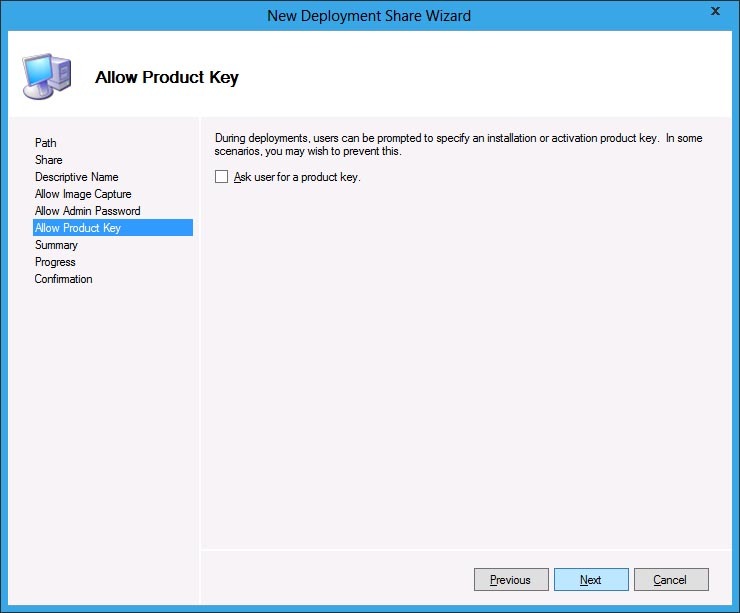 To start the creation of the deployment share click Next. During the Process, a share is created and the folder is being populated with the scripts and tools. In the Confirmation screen, will give a summary of everything that has been done. Click the Finish button to complete the process. Since I am using a virtual machine I mounted the Windows 8 ISO image WindowsDeveloperPreview-32bit-English.ISO. 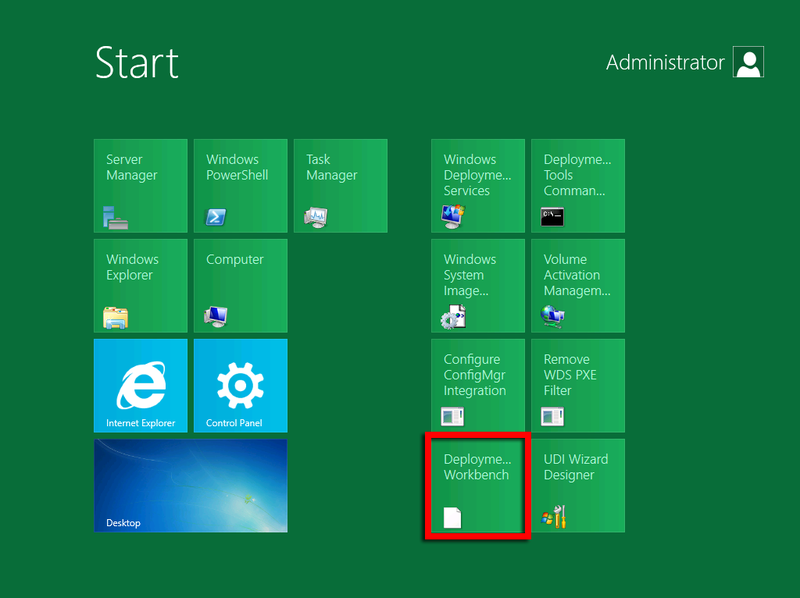 Back in the Deployment Workbench, browse the navigation pane, make a right-click on the Operating Systems folder under the deployment share and click on New Folder. Type folder name, Windows 8 x86 and click on Next. Click on the Next button to create the folder. 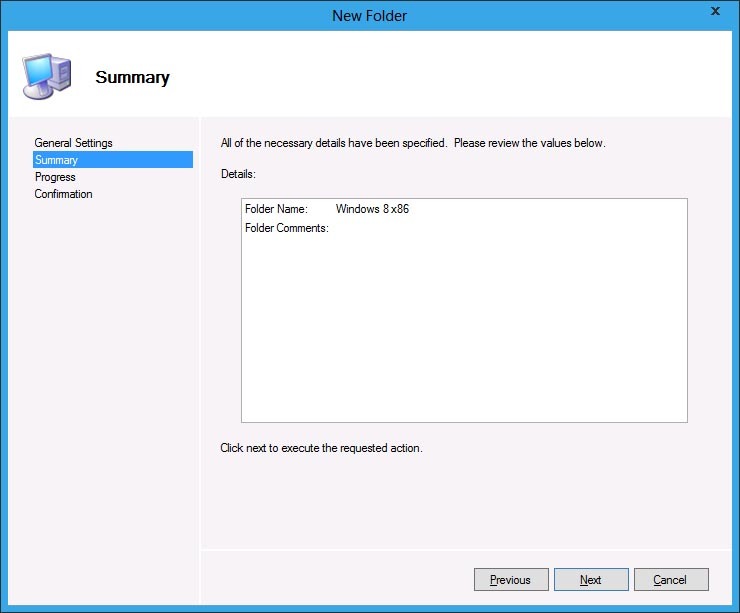 The folder Windows 8 x86 is created, click the Finish button to close the screen. 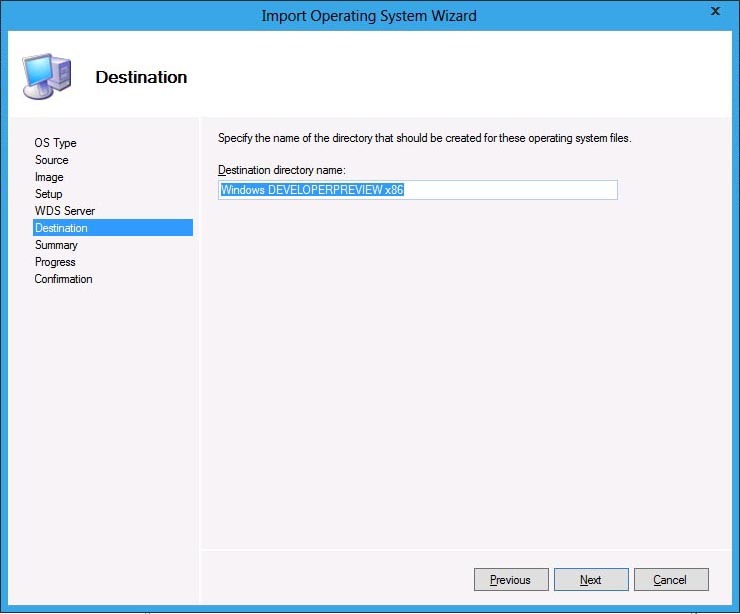 In the navigation pane, select and right click the Windows 8 x86 folder and click Import Operating System. For this scenario, select “Full set of source files” and click Next. 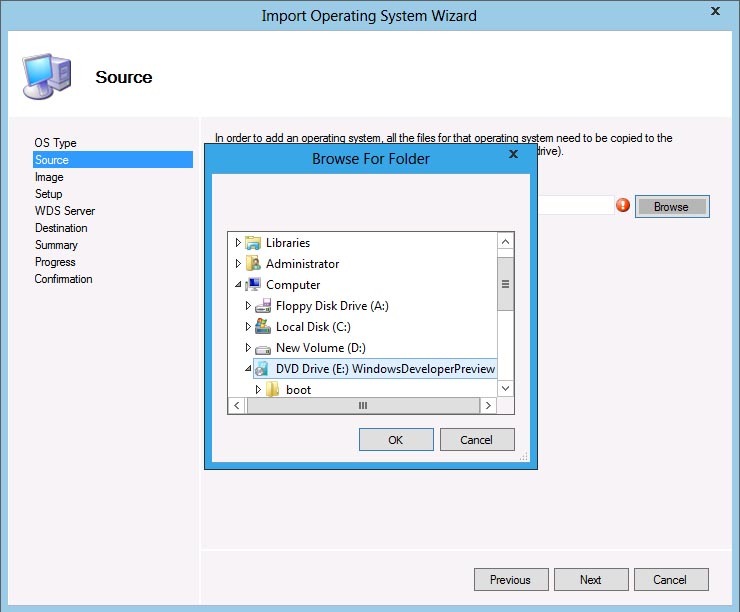 Browse and select the a source folder of the Operating System. Type in a destination directory name, this is where the files from the DVD will be copied. Click Next to continue. 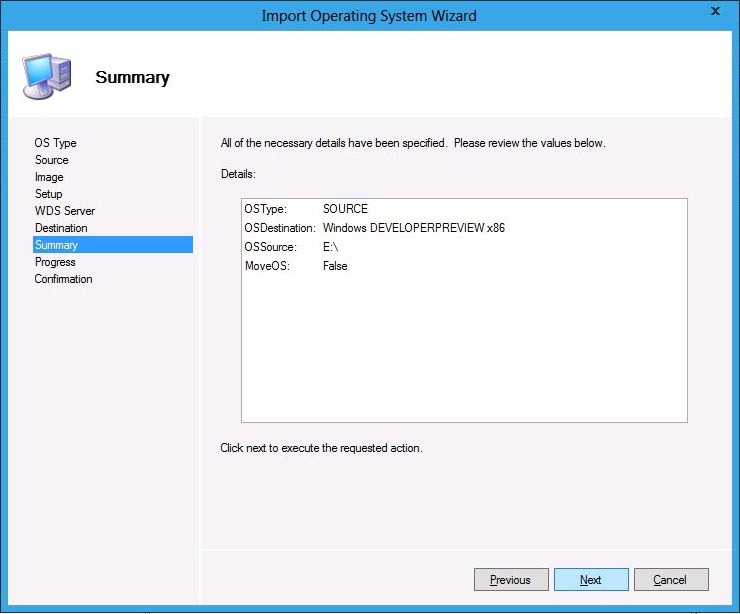 Click on Next to proceed in importing the source files. It will take a copy for the process to complete. 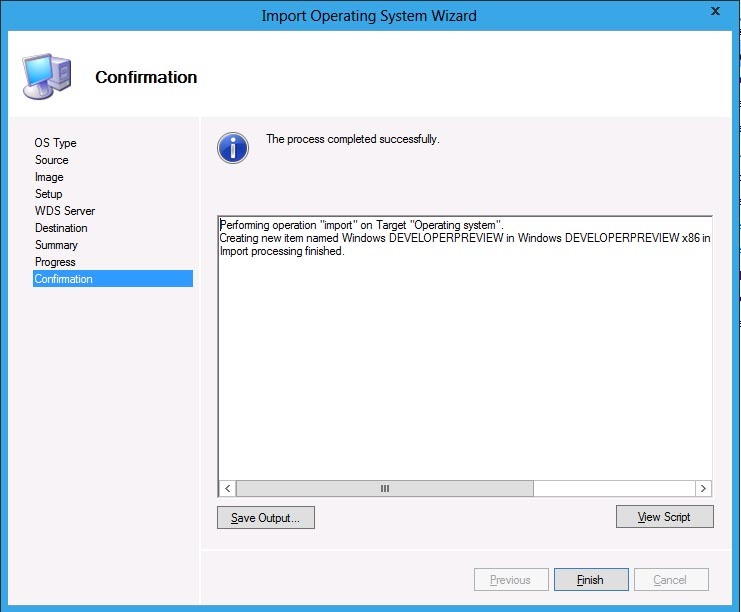 When the process is compete, click Finish to close the Import Operating System Wizard. 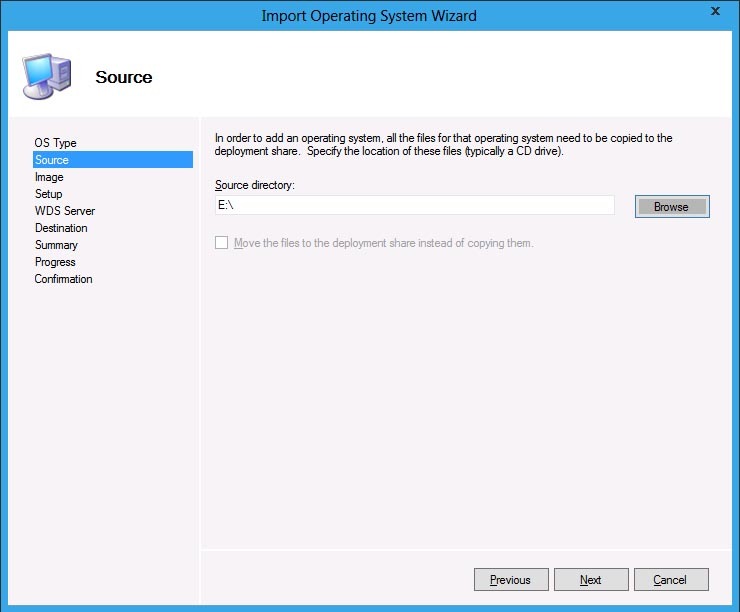 In the Deployment Workbench, under the Operating Systems folder > Windows 8 x86, you’ll that the OS is now imported. Next is to Create a Task Sequence and a Boot Image.